On Location at the Solana Resort! The ITV series Benidorm first arrived on our screens in February 2007 and seven years later is still going strong, following the exploits of the Garvey family and the other guests and staff at the Solana Resort. Series 6 ended on a high with a guest appearance from Joan Collins, and the word is it will soon be returning for series 7! 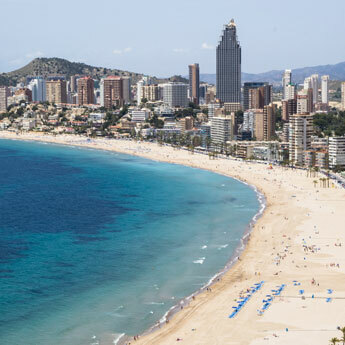 Filmed on location in the popular resort of Benidorm, the show has featured scenes at a variety of locations around the resort, and consequently Benidorm has received soaring levels of interest as a potential holiday destination. If you’d like to emulate the holidays of the Solana Resort’s guests, visit these sights where all the action unfolded! 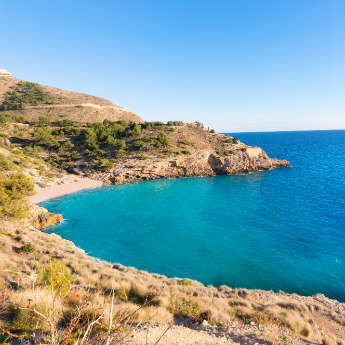 • Although the hotel interior is actually a set in a nearby television studio, the pool and bar area where the Solana guests relax, gossip and bicker is actually at the Sol Pelicanos Ocas Hotel, less than a 10-minute walk from Levante Beach. • Neptune’s Bar, the Solana’s all inclusive restaurant/bar where the guests spend most evenings is actually Morgan’s Tavern, located across the Road from the Sol Pelicanos Ocas. • Madge and Mel’s disastrous almost-wedding at the end of series 2 was shot in Benidorm on Levante Beach, just a 10-minute walk from the Sol Pelicanos Ocas. • The Mediterranean Balcony was the site of Geoff’s memorable date with ‘Lesley’, who turned out to be a transvestite called Les. At the time you were probably distracted by the cringeworthy fallout of this discovery, but the balcony is actually a great location for an evening meal, offering beautiful views of the Mediterranean. • In the most recent series, long-standing character Michael has been led astray by troublemaking newcomer Tiger Dyke. The bar where they go drinking, despite being underage, is the Heartbreak Bar on the Levante beachfront. 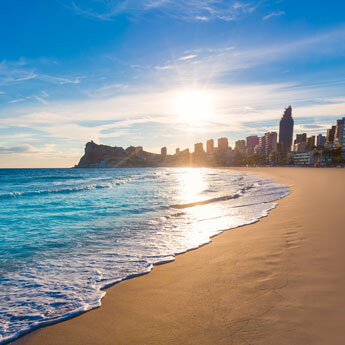 If you feel like recreating some of the casts’ mischief or getting a celebrity spotting, visit icelolly.com to search for great deals on holidays to Benidorm!